Dr. Willard leaves for a field expedition to Malawi this week, so it looks as though I'm on my own for a couple of months. I don't know what will be set aside for me to work on in his absence, but I have a feeling that it will be more smaller species. The largest bird I've prepared in the past couple of months was a Belted kingfisher, but aside from that it's mostly been warblers. Working on preparing a smaller skin is, for the most part, a smaller time investment than working on something like a hawk or Great-horned Owl, but there is less forgivness in terms of covering your tracks if you make a mistake. 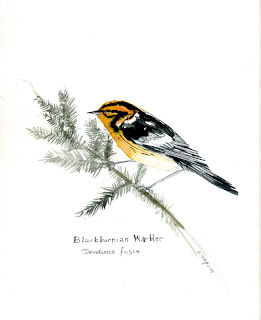 The Blackburnian was one of the more striking warblers I prepared recently. The males have bright orange throats in contrast to the black streaking in their plumage. Dendroica fusca is most at home in northeastern coniferous forests. 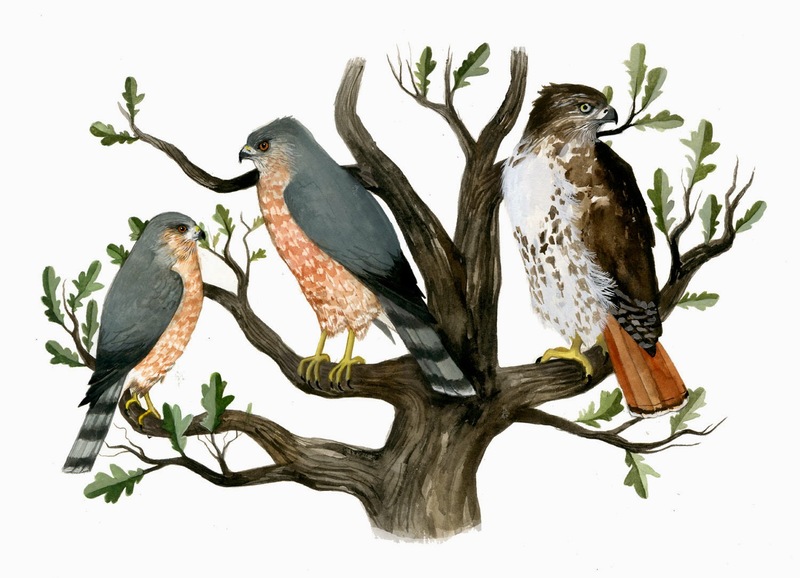 A loner bird when nesting and in winter, it will join foraging flocks of other small birds such as nuthatches, kinglets, and chickadees after their young have fledged.